NEWPORT, USA - (8 May 2018) After over 5,000 nautical miles of racing from Itajaí, Brazil, the Volvo Ocean Race fleet experienced a complete restart in the early hours of Tuesday when, in the final approach into Narragansett Bay, the wind died and the distances between the top four boats decreased at one point to less than a mile. The Newport stopover is a homecoming for the blue boat with multiple connections to the Ocean State for the team and shore crew. 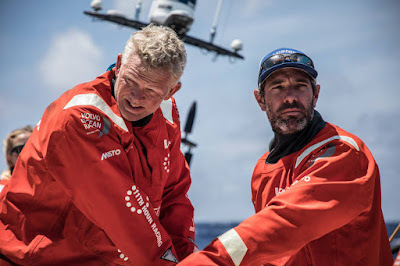 Enright is from nearby Bristol, Rhode Island, boat captain Nick Dana is a Newport native, and team director and co-founder, Mark Towill, attended Brown University in Providence with Enright. Furthermore, team partner, 11th Hour Racing, is also headquartered in the historic sailing town. Enright, Dana, and Towill may have the local connections, but the entire crew was looking forward to this particular arrival. Moreover, the USA is a strategic market for the co-title sponsor, Vestas. As well as hosting guests from the North American energy sector, the Danish leader in wind energy will also provide the team with key meteorological data ahead of the In-Port race and Leg 9 to Cardiff, Wales. 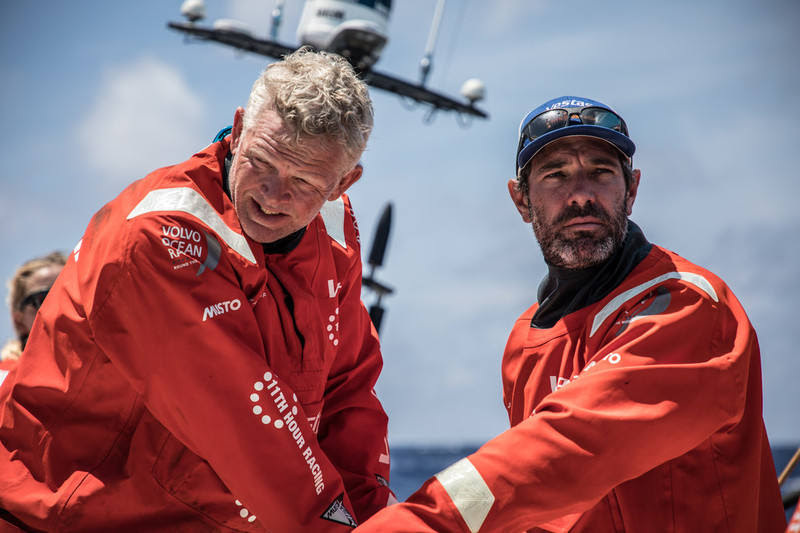 Now in Newport, the sailors and shore crew will be resting and preparing for the upcoming double-points transatlantic leg to Cardiff which starts on May 20. During the stopover, sailors will also be participating in the scheduled inshore racing, as well as a number of events including, the Ocean Summit, and a visit to a local marsh with non-profit “Save the Bay” to learn about their coastal restoration work, as part of 11th Hour Racing’s legacy project with the team..
Stay tuned to our website and social media channels for more information.